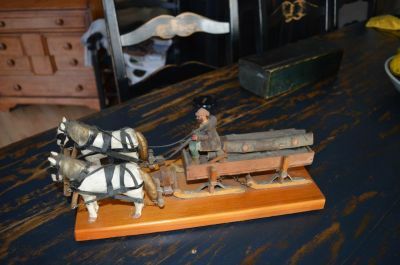 Home-Antiques-Folk horse team wood load. 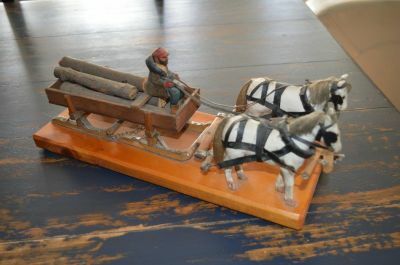 Folk horse team wood load. 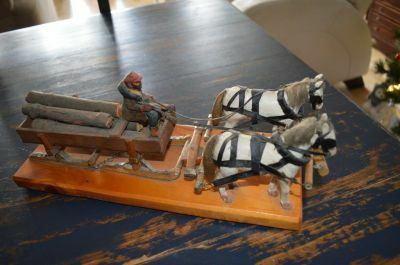 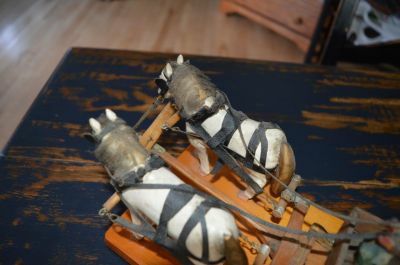 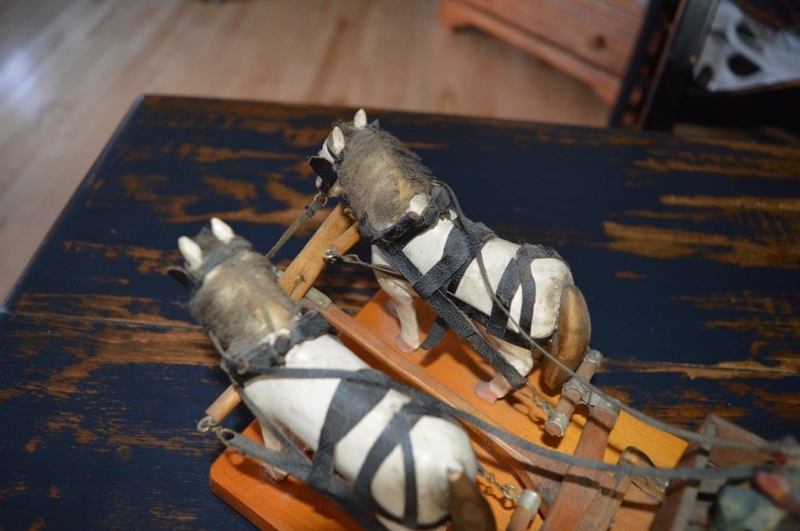 Very nice folk art horse team with lumber in a sleigh. 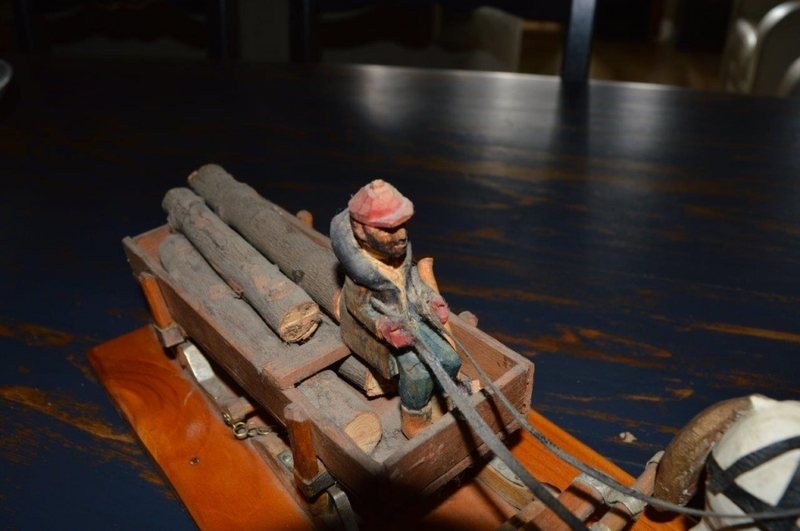 Great colors and very well carved. This unsigned carving is 14.5 long X 4.4 wide and 5 high. 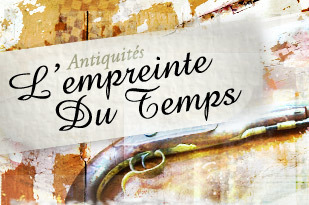 From Michel Sauve's estate.